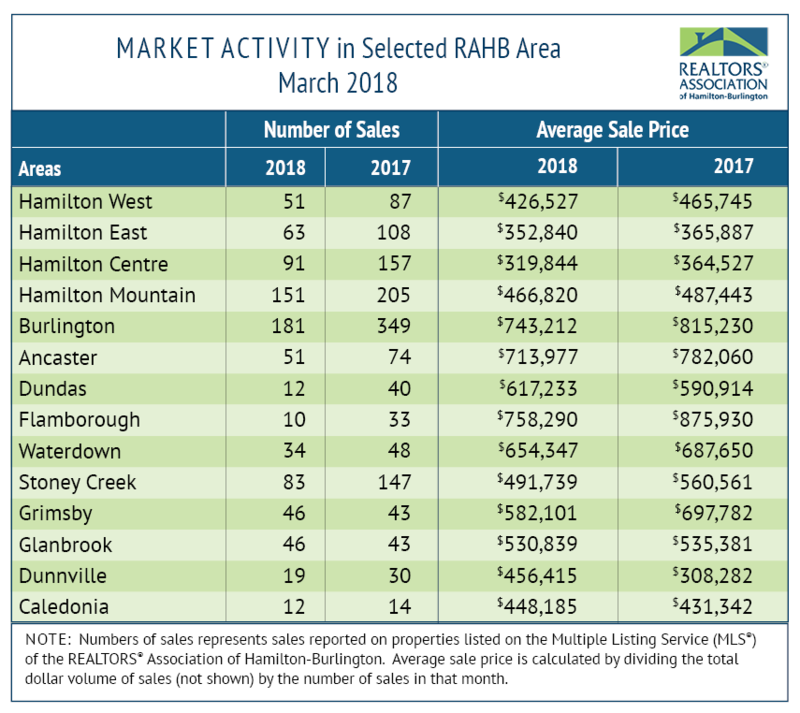 The REALTORS® Association of Hamilton-Burlington (RAHB) reported 1,099 sales were processed through the RAHB Multiple Listing Service® (MLS®) System in March, 38.6 per cent fewer than the same month last year and 18 per cent fewer than the 10-year average for the month. All property listings were 13.5 per cent lower than the same month last year and 8.1 per cent lower than the 10-year average. 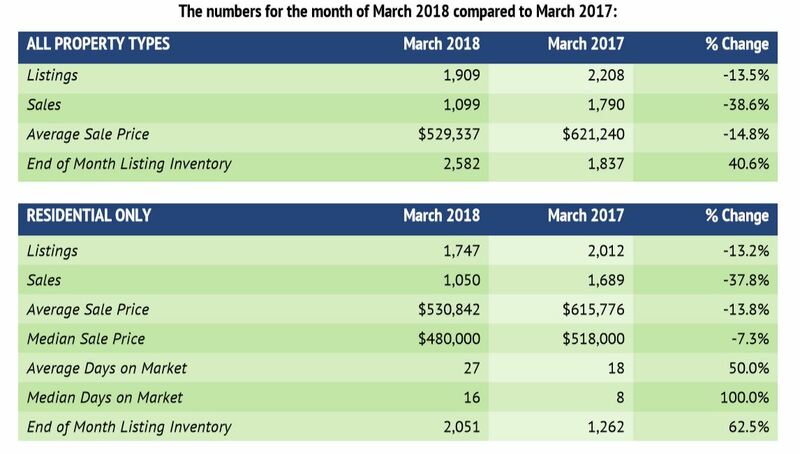 Seasonally adjusted* sales of residential properties were 34 per cent lower than the same month last year, with the average sale price down 8.6 per cent for the month. 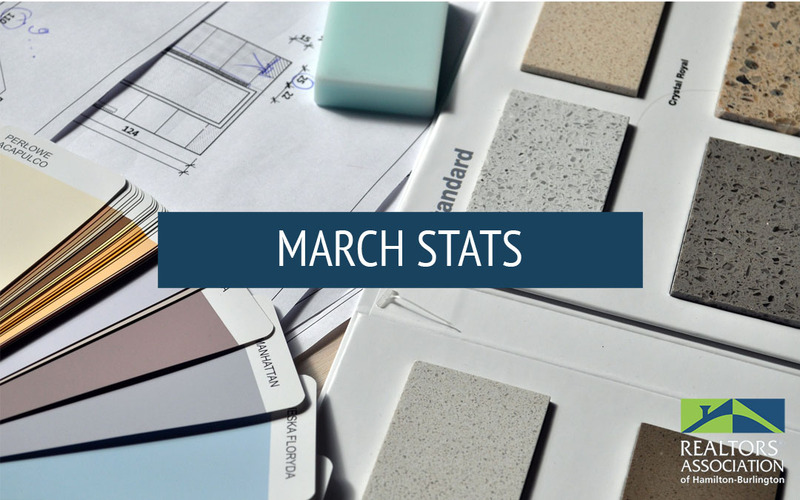 Seasonally adjusted numbers of new listings were 3.2 per cent lower than March of 2017. Overall residential sales of 1,050 units were 37.8 per cent lower than March last year. Residential freehold sales were 38.4 per cent lower than the same month last year while sales in the condominium market were 35.5 per cent lower. 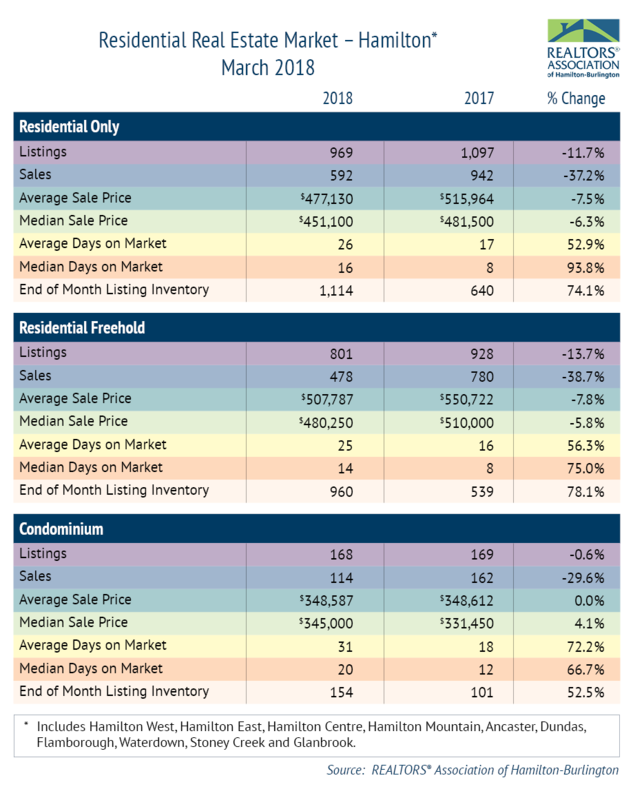 The median price of freehold properties decreased by 8.2 per cent over the same month of the previous year while the median price for condominium properties increased by almost one per cent compared to the same period. 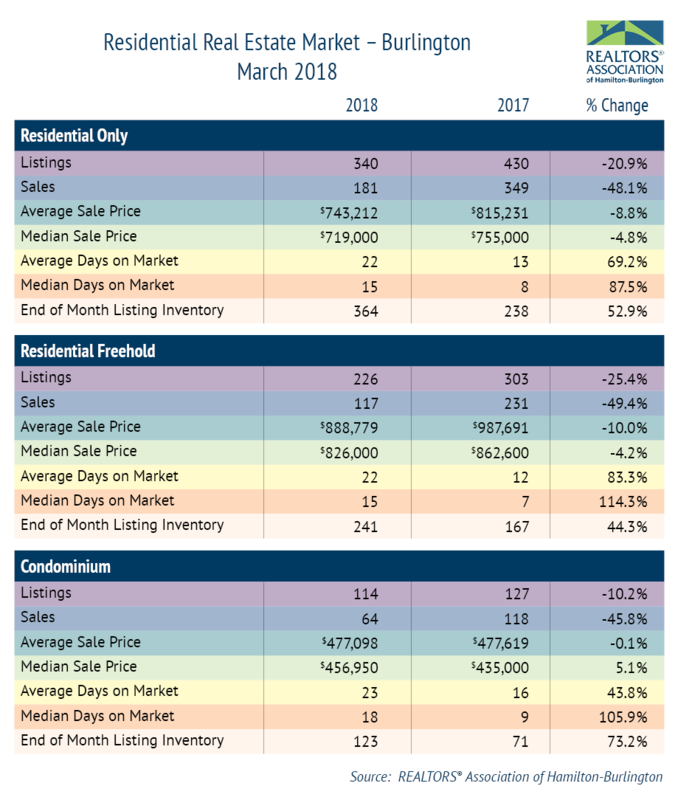 The average price of freehold properties declined by 15.5 per cent from March 2017; the average sale price in the condominium market decreased by 1.6 per cent compared to the same period. Average sale price is based on the total dollar volume of all properties sold through the RAHB MLS® System. Average sale price can be useful in establishing long-term trends, but should not be used as an indicator that specific properties have increased or decreased in value. Contact a local REALTOR® for information about your specific neighbourhood or property. 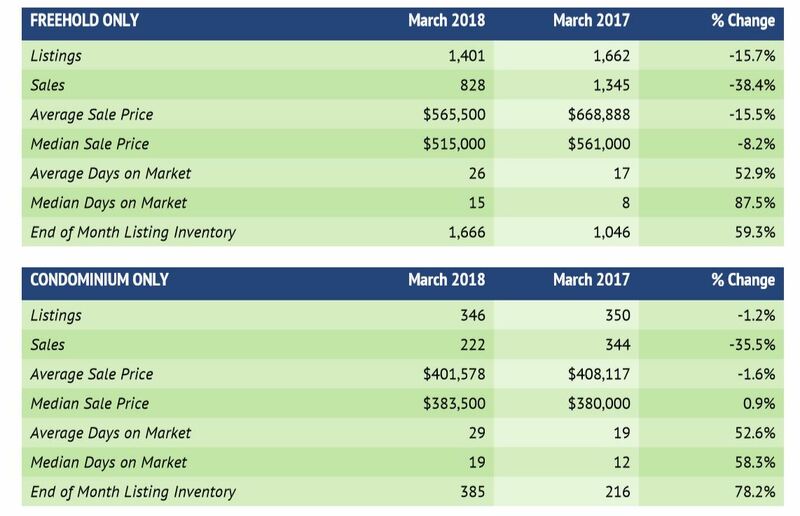 The average number of days on market rose to 26 days from 17 days in the freehold market and increased to 29 days from 19 days in the condominium market, compared to the same month last year. Every community in RAHB’s area has its own localized characteristics that influence that market. Please ensure you contact a local RAHB REALTOR® for professional advice.